At a forum/debate last week in Amherst, my opponent, Ranzenhofer, did not know what the New York Health Act was. He thought it was an abortion bill. He is been sitting in office for 10 years. Oh yes, it’s time for change. -For a woman in Churchville, her health care costs with insurance were over a third of her income last year. -A woman in Clarence, may not continue with cancer treatment because it’s destroying her financially. -A young woman with MS took a serious turn for the worse because her health insurance lapsed because she couldn’t continue with her medications. -Many senior citizens stop taking their medication in September after their prescription limit is hit. 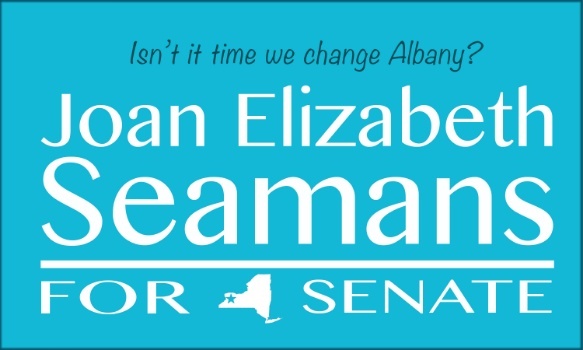 As your senator, my focus will be affordable healthcare for all New Yorkers. Most people will save money. Most businesses will save money. The extensive Rand report supports the feasibility for New York State.